We had to cut it short because of the rain but we still had an awesome time and got everything accomplished. Join us at this fun and informative event. It's the second Hampton Roads Area / Virginia Beach National Drive Electric Week Celebration! It will be hosted at Pembroke Mall in the heart of Virginia Beach. The mall opens at noon and there will be food trucks on site with food and drinks. Visitors can check out EVs from BMW, Ford, Chevy, Nissan, Tesla (Model S and Model X) and more! 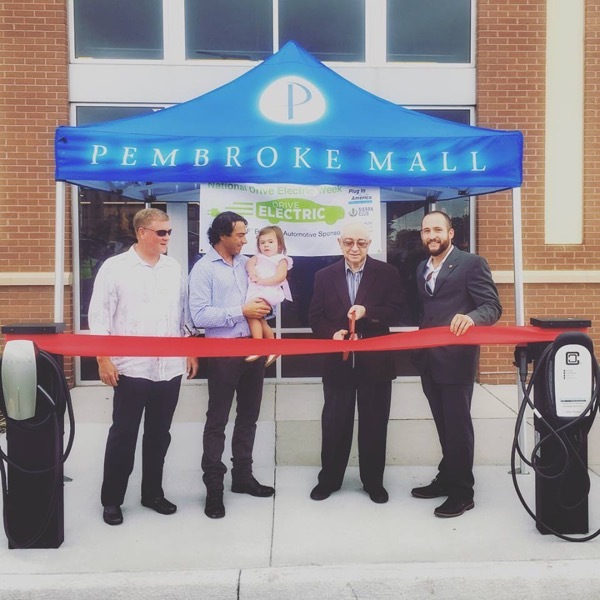 Talk to the drivers and hear why they made the switch to electric vehicles, and how you can, too. Raffle drawing will be held at 1pm. You must be present to win. -Gift cards from local businesses. If you're bringing your car, please include your EV miles in your registration. Registered attendees report 926,104 electric miles driven.